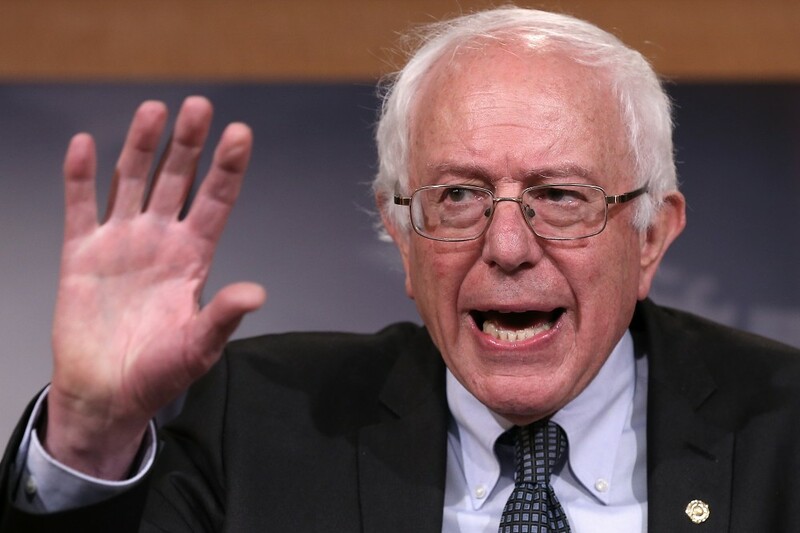 Bernie Sanders refuses to engage in political smack-talk. The Democratic presidential candidate offered up some choice words at a campaign stop in Dubuque, Iowa on Sunday. A YouTube video shows Sanders answering questions from the media after delivering a speech to about 2,000 people in the swing state. And that’s when Sanders cut him off. Sanders moved on to outline the “disagreements” he has with Clinton by directly speaking on his views on major issues like the Iraq War, the Keystone Pipeline, and the Patriot Act. He did it all without even broaching the topic of Clinton’s opinions. However, he didn’t seem confident that that’s what the press will focus on. In the video, Sanders made it clear that he doesn’t see the value in attacking other candidates, nor does he see value in the news articles that perpetuate those attacks. He even flat-out refused to answer a question about him purportedly being a career politician, which he later referred to as a “gotcha” question. His responses to certain questions at the press conference were akin to those from a recent New York Times interview. When asked about how people talk about his and Hillary Clinton’s hair, he cut the Times reporter off, too. Before leaving the Iowa press conference, Sanders made a final statement about how he thinks political discussion and debates ought to go down.